Can Christians do “magic tricks” with cards? 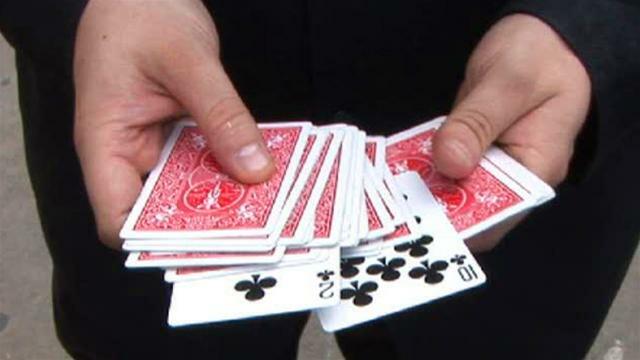 2) Keeping card trick secrets. Actually, I think you can definitely keep doing card tricks, even as a follower of Jesus, if you just give a disclaimer before you perform them. You can say something like, “What you are about to see is an illusion intended for your entertainment. There’s no magic and nothing occult involved. What I say during the performance is designed to support the illusion and it may not all be true.” That way everyone has fair warning and the right expectations. In fact, if this would be appropriate for your audience (for example, in a church setting), you can even say, “As a follower of Jesus, I’m careful to follow the Bible’s teaching not to be involved in magic or the occult. What you are about to see is an illusion . . . ,” etc. I agree that practicing and performing card tricks could be good for your personal development. It will help with things like hand-eye coordination, concentration, memory, logic, and public speaking. You may wish to read my post on the topic, “Should Christians read books and watch movies that have magic in them?” It explains how even Christian authors such as C.S. Lewis and J.R.R. Tolkien have legitimately used magic as a literary device in their writings, but it also explains the possible risks and dangers of suggestions of magic. Best wishes as you continue to develop your craft and use it in positive ways! THANK YOU SOME ONE WHO GET ME. Previous Previous post: Why did God make people and angels who would fail and fall away? Next Next post: Did Jesus send a mixed message about repetition in his teaching about prayer?